BAKUTEL - Unparalleled effect of IT solutions of the next generation! Unparalleled effect of IT solutions of the next generation! The 24th Azerbaijan International Telecommunications, Innovations and High Technologies Exhibition and Conference, Bakutel 2018, is the largest event in the Caucasus region in the field of telecommunications. 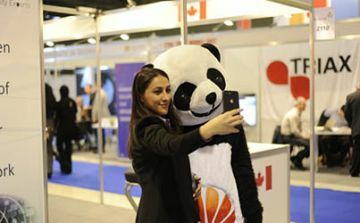 The long-term popularity of Bakutel results from the fact that the exhibition actively promotes international cooperation, realizes demonstrations of the best ICT projects at the global level, and effectively exhibits the most advanced achievements in the field of high technologies from many countries. The active participation of national pavilions, an extensive business program, and the mass appeal for all kinds of visitors underscore the status of the event. The exhibition will be held at Baku Expo Center from the 4th to the 7th of December.